The Scandinavian design of the Airy coffee table by the designer Cecilie Manz is characterised by its timeless, minimalist design with harmonious shape. The "airy" coffee table is made of a polished, oval plate of plywood, where the layers of plywood on the side are recognizable and at the same time act as a decorative element. The powder-coated steel frame gives the table its light and delicate character, giving the airy coffee table its name. The harmonious overall impression is created by the individual components of the table, which are perfectly matched. 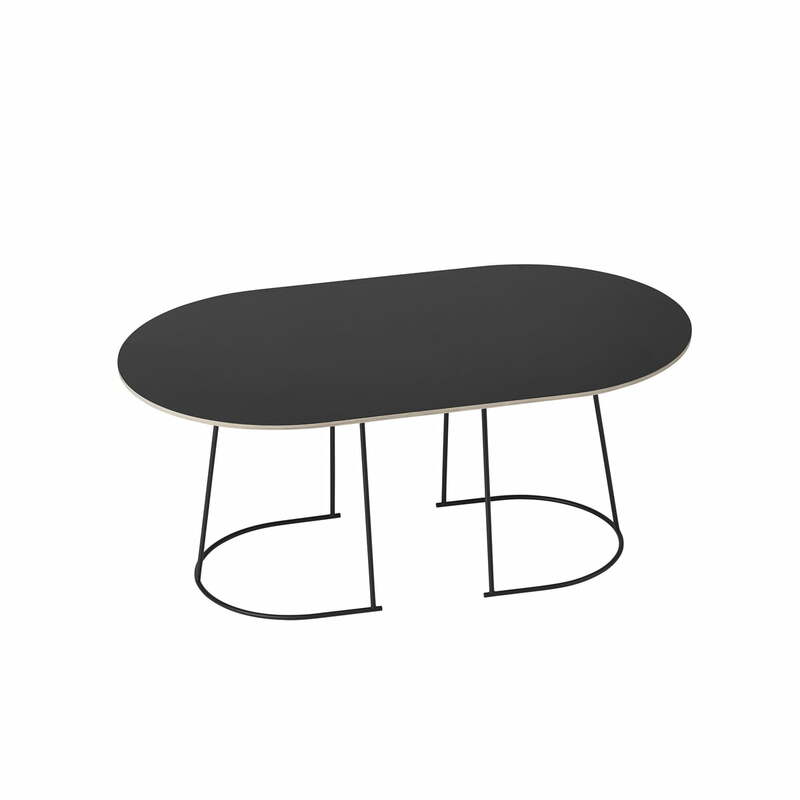 The shape of the frame excellently copies the tabletop’s shape and ensures an in total balanced design. The Airy table is available in different sizes and colours, making it versatile in use, either as a coffee or side table. The Airy coffee table in the individual picture. 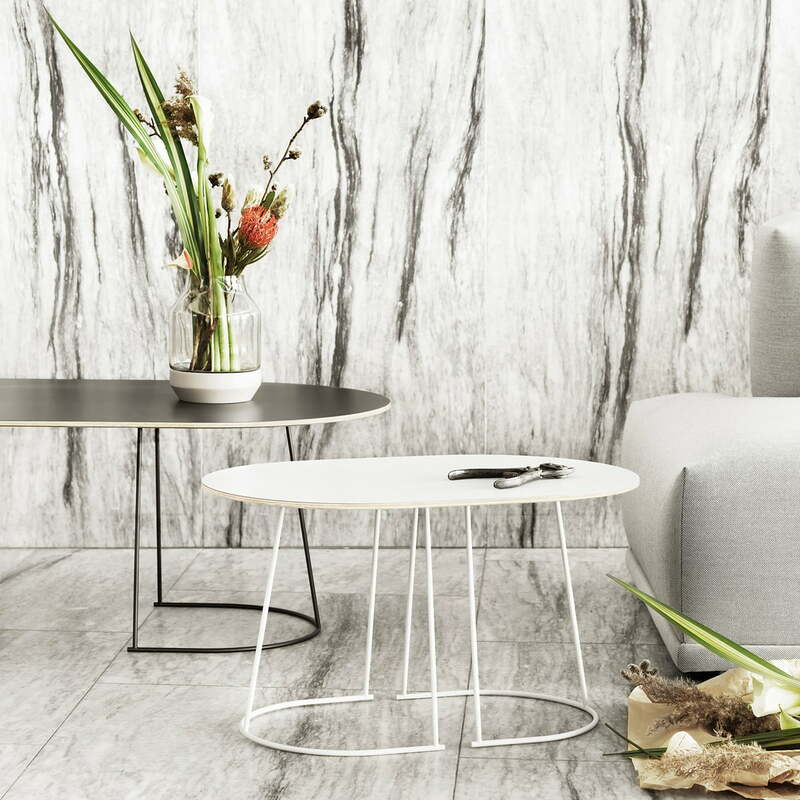 With its harmonious symmetric form, the coffee table from Muuto receives a simple and at the same time modern look. 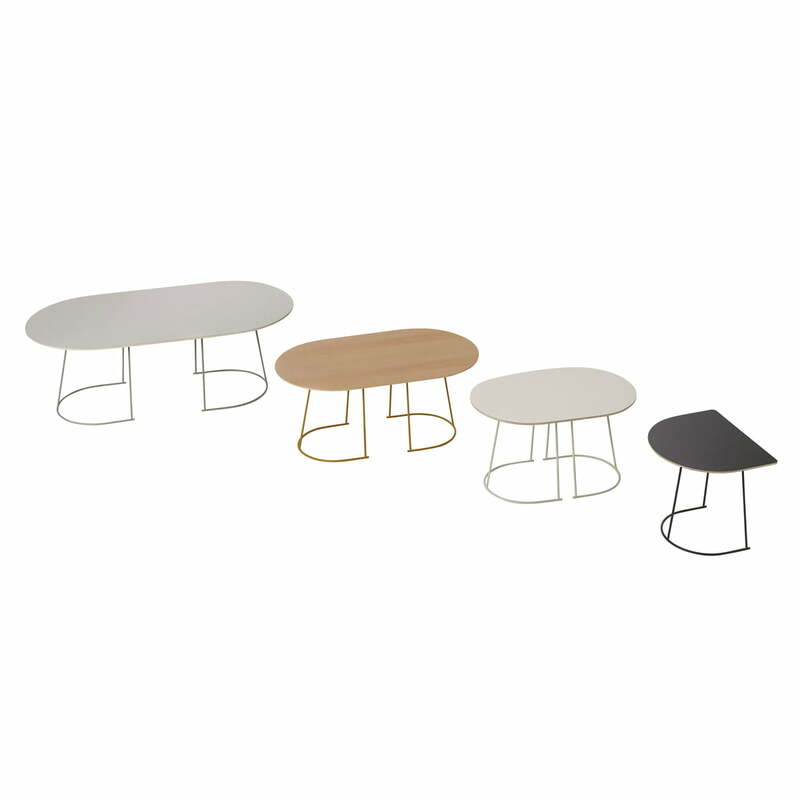 Group image of the Airy Coffee Table by Muuto. Different sizes and shapes make the table versatile in use. The minimalist design blends well in many living areas. 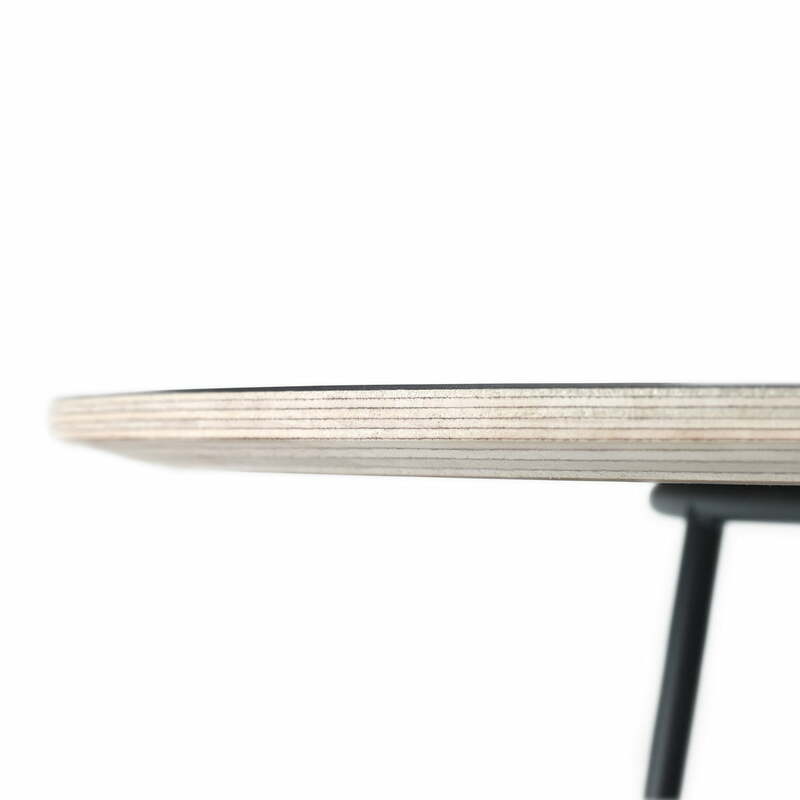 Detail image of the Airy Coffee Table by the company Muuto. The veneer on the table top is built in multiple layers, which are plain to see and meet a decorative component. 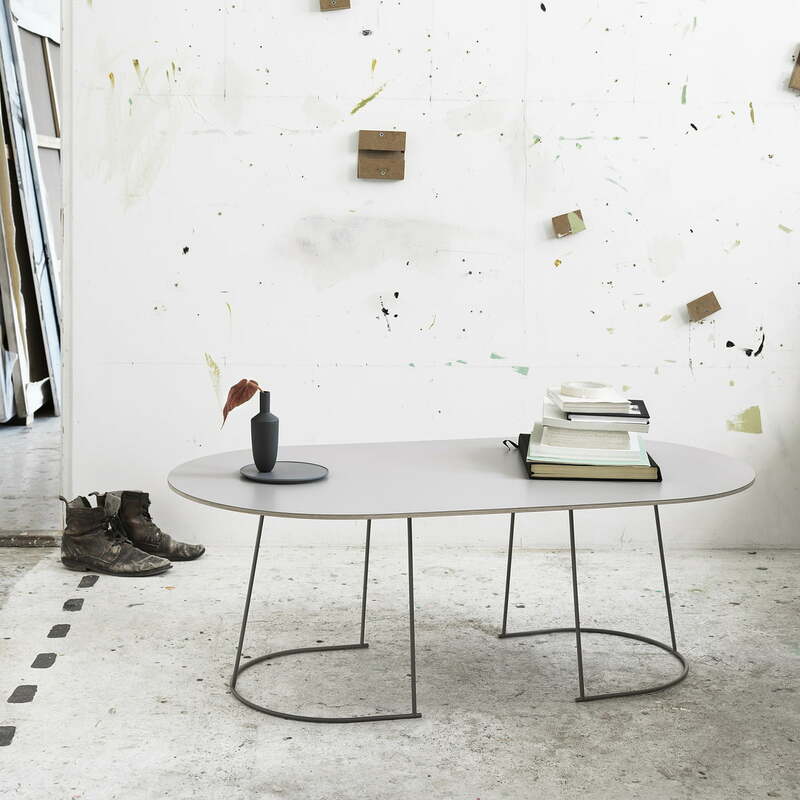 The Airy coffee table in the individual picture by the company Muuto. If arranged individually or in groups - the airy coffee table features minimalism and elegance. The Airy coffee table in the ambience picture. Whether in the classical or modern ambience – the coffee table fits perfectly into every furnishing style and creates a stylish atmosphere. Scandinavian Design for the Living Room. 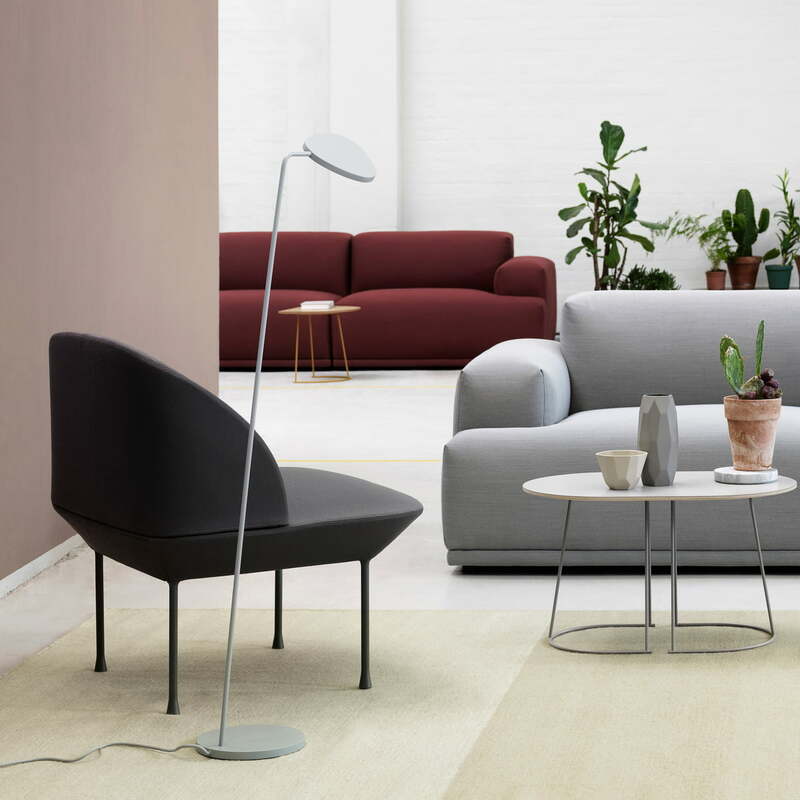 Muted, soft colors and a linear design connect the accessories such as the shade vase and bowl on the Airy table, the Leaf lamp, the Oslo Chair and other Muuto furniture.